When most people hear the words Long-term Care the first thing they think about is the nursing home and yet 85% of the people receiving Long-Term Care services today are not in a nursing home. Many people are choosing instead to stay at home to receive the care they need. So that we are all on the same page: If you were in a car accident, fell and broke your hip, were diagnosed with cancer, Parkinson’s or suffered a stroke you would probably seek treatment at a hospital. But they are not going to keep you very long. Nope they will treat you and street you or if you’re lucky they will send you for rehabilitation at a nursing home for a short period of time. About the best you can hope for under our Medicare system today is about a 100 days of rehabilitation. If you’re not ready to go home at the end of 100 days or you wish to receive additional therapy Medicare will not pay for this additional treatment. If you want more you will have to pay for this care yourself. If you are going to pay for this care out of your own pocket you will probably choose like most people to receive this care in the comfort of your own home? The cost of two hours of in home care a day is about $20,000 a year. If you choose an assisted living facility you will spend about $40,000 a year and if you need the services of a skilled nursing facility the average cost today is over $80,000 a year. The average time someone will need care is about 3 years. What are the odds that you will need Long-Term Care? The average life expectancy of a person 65 years old today now exceeds 85 years of age. If you are 65 years of age today the odds of needing care in the remaining years of your life is about 70%. If you are a couple over age 65 the odds that at least one of you will need care for more than 100 days is closer to 90%. Unfortunately, the vast majority of seniors have no protection from this very serious threat. Some cannot qualify due to poor health, some assumed the government would take care of them, others could not afford the premiums of a traditional Long-Term Care policy and others are simply in denial of the potential financial disaster of a Long-Term Care situation. For those without Long-Term Care insurance coverage, there is good news. Over the last few years, there have been some highly innovative solutions developed that can help individuals protect themselves. 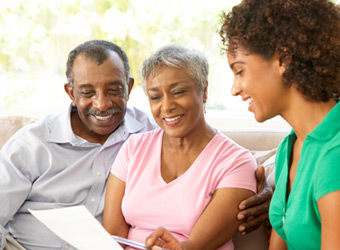 A very popular plan sets aside some of the money you have saved and if you need the money for Long-Term Care the insurance company will leverage your savings to help your money go further. If you don’t need the money for care you can access the funds for income. And if you don’t spend your money during your lifetime you can leave it to your beneficiaries. Income if you need it, additional income if you need it for Long-Term Care and if you don’t get sick your money goes to your children, church or charities. The best part of these plans is you never pay an insurance premium. At the very least, we strongly encourage you to explore your coverage options. For more information on conventional long-term care coverage or to learn more about the “new” way seniors are protecting themselves against this threat, contact Retirement Solutions of America today.